Meyer Tool Provides Linde with Lowest Cost of Ownership - Meyer Tool & Mfg. Linde Cryogenics is the American division of the The Linde Group, headquartered in Munich, Germany. This U.S. location specializes in engineering, fabrication and construction of products used in gas processing, refining, and deep cryogenics. The Tulsa, Oklahoma-based company is a market leader in the design and fabrication of small and large helium refrigerator systems, helium and hydrogen liquefiers, and purifiers primarily supplying customers in the Western Hemisphere. Cryogenics is an important field of physics and engineering that involves the study of very low temperatures, how to produce those temperatures, and how materials behave at those temperatures. 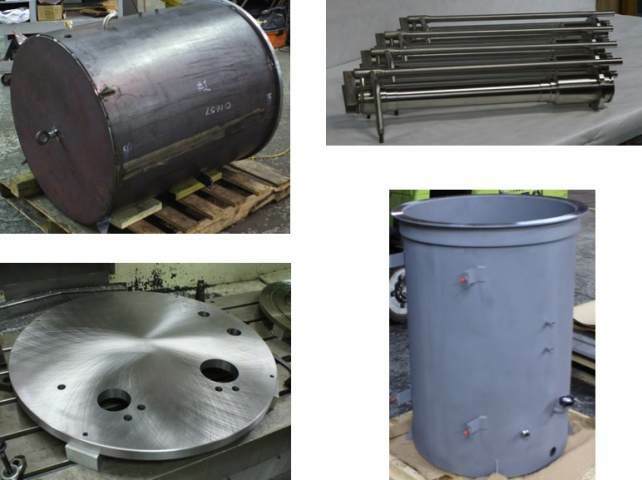 For Linde Cryogenics, there is no room for error in design and fabrication of their products. Customers including universities, research labs, space simulation chambers, and industrial cryogenic liquid productions plants are counting on the company meeting strict compliance standards. Meyer Tool began working with Linde in 2003. Prior to connecting with Meyer Tool, Linde had indicated that they were “frustrated with manufacturing suppliers who did not understand the tough demands of the cryogenics industry.” In 2003, Linde was seeking to rebuild its supplier base from the ground up. At Meyer Tool, Engineering and Manufacturing work as a team through the entire project life cycle. We look “beyond specs” to ensure the product will meet customer need, not just the initial requirements. “Prior to 2003, we had a lot of rework and that drove us to find Meyer Tool so we could improve quality, save costs and reduce reworking,” said John Urbin, Linde’s business unit manager. John says utilizing Meyer Tool’s engineering and manufacturing expertise has absolutely helped his company reduce risk in its supply chain and production processes. “A lot of machine shops in the Tulsa area are good, but our expectations are tough, like our leak testing standards. People outside the industry are clueless. We require tight tolerances,” says Urbin. “We struggled with vendors who weren’t dependable – quality issues, price, deliverables – they’d get busy with a big order and we would fall by the wayside. Meyer Tool did a much better job than anybody else,” said Urbin. Meyer Tool’s commitment to Reduce Project Risk encompasses many of the issues Urbin sited in his discussion with us, and ensures that such issues can and will be avoided while working with Meyer Tool’s engineering and manufacturing staff. Meyer Tool emphasizes reducing project risk in order to lower the total cost of ownership when they work with customers. With this in mind, what is an order’s best overall value beyond the initial investment? For Linde, Urbin says this is an important consideration in vendor relationships. “They’re making something for us and we’re giving our end users the benefit of quality equipment so they ultimately maximized their investment. Between Meyer Tool and Linde Cryogenics, we’re lowering the total cost of ownership for our clients,” comments Urbin. “We appreciate that they have this philosophy.” The personal relationship we have with them at several different levels in the company is invaluable. Just knowing we can trust them is very important to us. It makes doing business more efficient and more enjoyable.